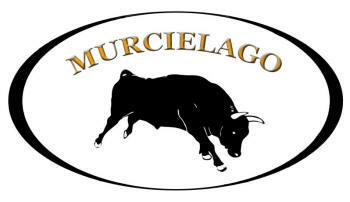 Murcielago is an elite cattle breeding operation specializing in genetically superior Black Angus cattle. Our cattle are sold locally and nationally to other top cattle breeders and to commercial beef cattle operations to improve the genetics in their own herds. Because of our substantial investment in state of the art embryo transfer and artificial insemination (A.I.) technology we are able to maintain the superiority of our herd by maximizing our own lead genetics and researching and selecting the best genetics from around the country to further enhance the quality of our animals. In addition, we are fortunate to have the consulting expertise of Dr. Bill Beal from Virginia Tech, who works closely with us in developing our breeding plans. Our entire breeding herd is registered with the American Angus Association insuring verifiable pedigree. We raise all of our cattle naturally on our farms according to a strict sustainability program designed to protect our environmental resources. We have over 6,000 acres in operation providing ample grazing area for the humane treatment of our animals, avoiding both environmental issues from overgrazing and animal health issues from overcrowding. It is our goal to provide all of our customers with superior Black Angus genetics to enhance the productivity of their herd and profitability of their businesses. If you are seeking quality Black Angus cattle, we are interested in working with you whether you are looking to increase your herd by one or many.